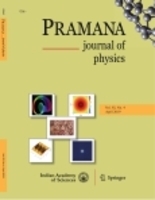 PAMELA–CREAM anomaly; cosmic ray nuclei (proton–helium) spectrum; diffusion and transport of cosmic ray. Recent measurements of cosmic ray proton and helium spectra show a hardening above a few hundreds of GeV. This excess is hard to understand in the framework of the conventional models of galactic cosmic ray production and propagation. Here, we propose to explain this anomaly by the presence of local sources. Cosmic ray propagation is described as a diffusion process taking place inside a two-zone magnetic halo. We calculate the proton and helium fluxes at the Earth between 50 GeV and 100 TeV. Improving over a similar analysis, we consistently derive these fluxes by taking into account both local and remote sources for which a unique injection rate is assumed. We find cosmic ray propagation parameters for which the proton and helium spectra remarkably agree with the PAMELA and CREAM measurements over four decades in energy.